Dr. Clive Robins graduated with a BS in Experimental Psychology from the University of Sussex in England before coming to the United States to attend graduate school at Stanford University and the State University of New York at Stony Brook, where he completed the PhD in Clinical Psychology. He has been on the faculties of New York University and Duke University, where he is now Professor Emeritus in the Department of Psychiatry and Behavioral Sciences and in the Department of Psychology and Neuroscience. Dr. Robins is board certified in Cognitive and Behavioral Psychology by the American Board of Professional Psychology and is a Founding Fellow in the Academy of Cognitive Therapy. 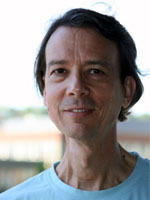 He has served as an Associate Editor and on the editorial boards of several scientific and professional journals, has published more than 80 articles and book chapters on depression, borderline personality disorder, and cognitive-behavioral and dialectical behavior therapies, and has been the recipient of research grant funding from the National Institute of Mental Health among others. In 1993, Dr. Robins completed the first intensive training in dialectical behavior therapy conducted by Dr. Marsha Linehan, and during that year established the DBT program at Duke University Medical Center, which he directed until 2015. He has provided DBT to many patients, trained and supervised more than 70 psychology interns and postdoctoral fellows, taught graduate-level courses in Psychological Intervention, Dialectical Behavior Therapy, and the Psychology of Mindfulness, given more than 25 Grand Rounds and other invited presentations at Universities and Medical Centers, most concerning DBT, and conducted more than 90 DBT trainings and workshops for mental health professionals. He was a co-investigator with his colleague Cedar Koons on the first randomized controlled trial of DBT outside Dr. Linehan’s laboratory, published in 2001.